I'm definitely finding it harder to find nice things in thrift shops, though I did score a 1960/1970's liberty shirtdress the other week. 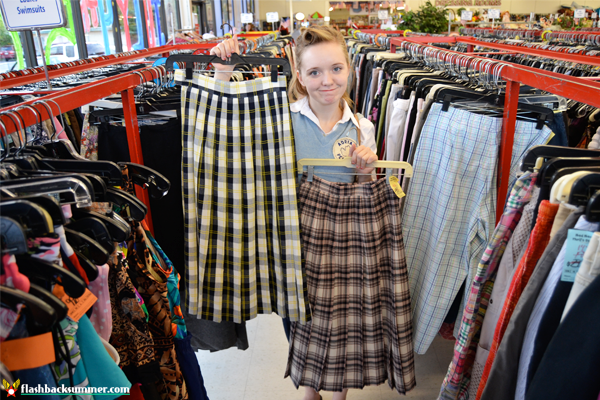 My best luck has definitely been with winter plaid skirts, and slips though. Winter paid and slips are plentiful in my area too! And how cool to find an older vintage piece! Lucky! Thrift stores are, almost exclusively, where I acquire my wardrobe. Being that the middle of Alaska wasn't exactly booming or fashion forward in the 40's and 50's, there are very limited findings around here. Thankfully, with lots of dedication, I have been able to find quite a bit of 80's and 90's "vintage appropriate" pieces. Sweaters and wool pants are usually plentiful. 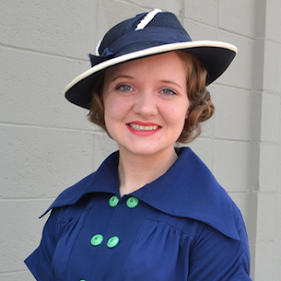 I have found a few dresses that just need a hem, belt, or cardigan to transform them into 40's or 50's styles. I find it better to look for potential, than specific garment. I'm not a wonderful seamstress by and stretch, but I can make simple alterations that can make all the difference. Great post, I don't usually check out the men's shoes, but I will be next time. You are SO right about looking for potential rather than a specific garment! Simple alterations (or sometimes massive overhauls) can result in some fabulous pieces! I did not know that about the 90s and rayon! I've learned something today! I think that generally "giving things a chance" is important. Often an item will look very different when worn, and you may as well try it on! The other great thing about thrift stores is that cheap vintage appropriate items are a great way to experiment with style. 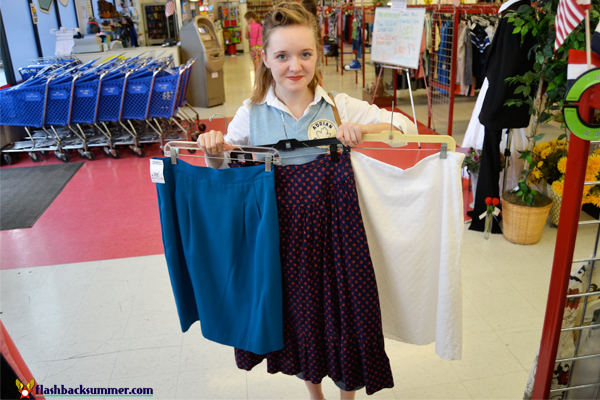 If you aren't sure whether, say, pencil skirts really suit you, buy a cheap one and wear it until you are sure they are for you, before you invest in a more expensive vintage our reproduction one. My local op-shops (our thrift stores, which seem to all be really tiny compared to the pictures I've seen of US ones! Are they all massive?) have some fun 60s and later vintage but rarely much older stuff. My favourite things to op shop for at the moment are belts and scarves, which are often plentiful and interesting. I think it depends on the area in the US as to how big the stores are. We have a LOT of stores like the one in the pics above in my city, but almost all of them are run by nonprofits to earn some extra income. The one above gives its proceeds to disabled veterans! I like knowing my money goes to a good cause and keeps clothes out of landfills! The thrift store I go to has some bad vintage selection, mostly modern (not even much 80s-90s) It is probably because of the area. 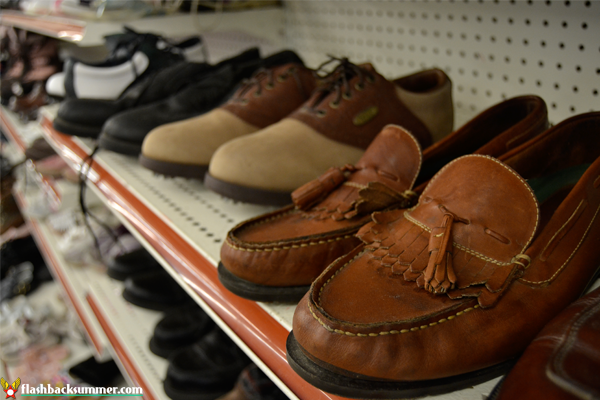 But they did have a great selection of men's shoes! So I totally agree with you on that. I find thrift stores are great for clothes you don't "want" Like I kept buying my jeans from there for working at a restaurant. They were already broken in, and cheap so grease stains weren't a big deal. 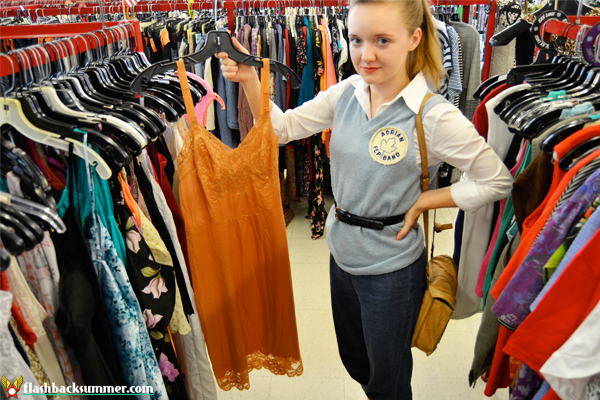 I find more cheap vintage pieces in antique shops- ones that don't feature vintage clothing. The owners usually mark things down fairly low since it isn't their speciality. I usually have to give it a little love but it can be as simple as sewing a button back on. Me too! I shop a lot more often in flea markets/antique stores, and non-vintage wearers are always surprised by that and assume I shop at thrift stores. But ain't nobody finding 1940s rayon in a thrift store in my area! Thanks Christina! Glad you found them helpful! I think they are the same. 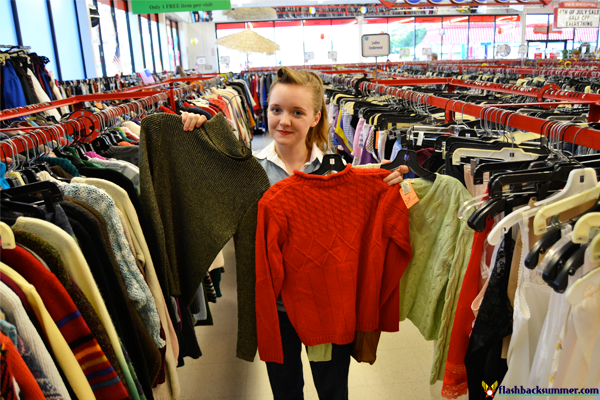 Most of our thrift stores in town are actually run by charities, so that sounds right! I just bought a batch of hideous items to use for their fabric! 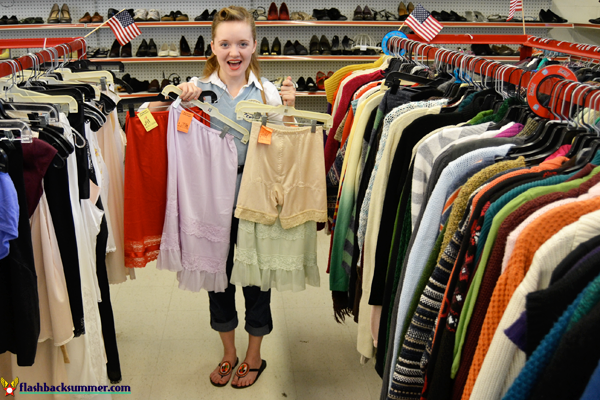 I am s HUGE fan of thrift stores (I actually went to one today) so this post was great!! I always just go without any real agenda, but your post really laid out some really great tips of finding what you are looking for!! There is definitely less vintage (like from the 60's and before) in thrift stores today, but I still find so many other amazing pieces that look like they could have still been mid century. Thanks for your tips!! I'm glad you've found them helpful! I'm kind of a search-and-destroy sort of thrifter because I don't go there often (mostly for fabric for projects, not necessarily clothing items themselves). I'm glad you've had luck finding good pieces! 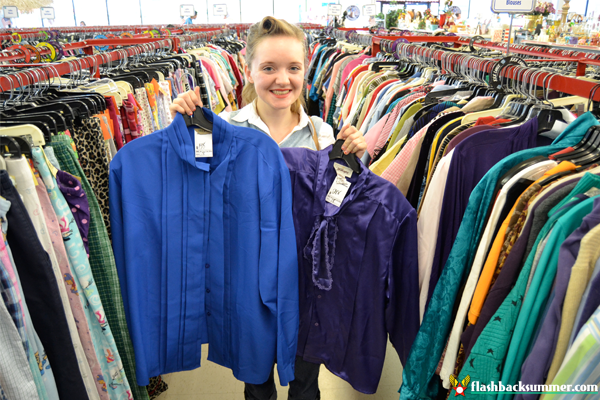 Our thrift stores have gotten more expensive, too! I used to be able to buy things for a quarter or two, but now that it's "in" they're more expensive. So dumb! I've also found it REALLY depends on where the thrift store is at. My area isn't very affluent, so you'll pretty much never find nice stuff. I went to one outside a large city, though, and it was amazing! Our UK charity shops can also be expensive although I wouldn't say they're the "in" place to shop as such. Mostly it puts me off shopping in them, although I do like a bit of a browse. My cool auntie recently found me a gorgeous 1960s Joan Holloway style dress in a charity shop though, so you do come across the occasional gem. What a great guide! 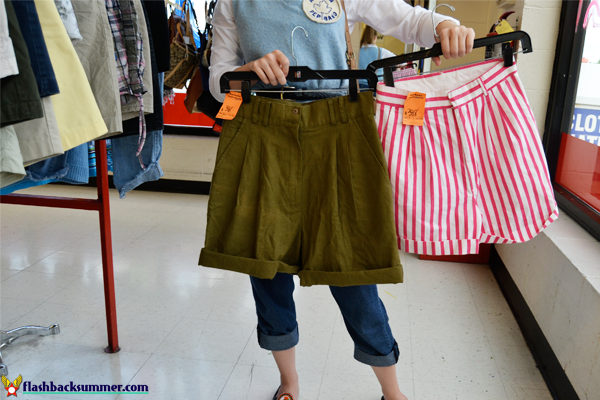 Just recently I started to find more interest in thrifting, and you tips were very helpful. I could relate to the "stuff that lack hanger appeal" since I do have to give some clothes a chance. Also, once I will improve my sewing skills, I would be able to find more potential in some garments. Yes, improve your sewing skills! It will open up a whole new world of options to you! Really fantastic tips and photos to accompany them with. I am so thankfully for vintage appropriate garb and the fact that I can sometimes find it while thrifting, though I must say, you have more of an abundance of it on your end then we do here. Weaving those kinds of pieces in with genuine vintage, repro, and "80s does 40s/50s" is at the very backbone of my whole wardrobe and one of the ways that I'm able to stretch my modest clothing budget a lot further than it would ever go in a purely new retail/online setting. True story, you do "80s/90s does" better than anyone else I know! Thanks for sharing this. I love thrifting and I get scared off by thrift store blouses and dresses, but I often strike gold finding full dirndl and pleated skirts. I usually bring these in by the bag full. My tips for finding vintage clothing would be to allow yourself to be open in what you find attractive and don't allow yourself to define vintage as one thing. 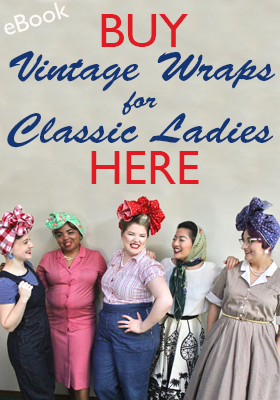 I feel the term vintage has many different definitions and that's what makes it beautiful! 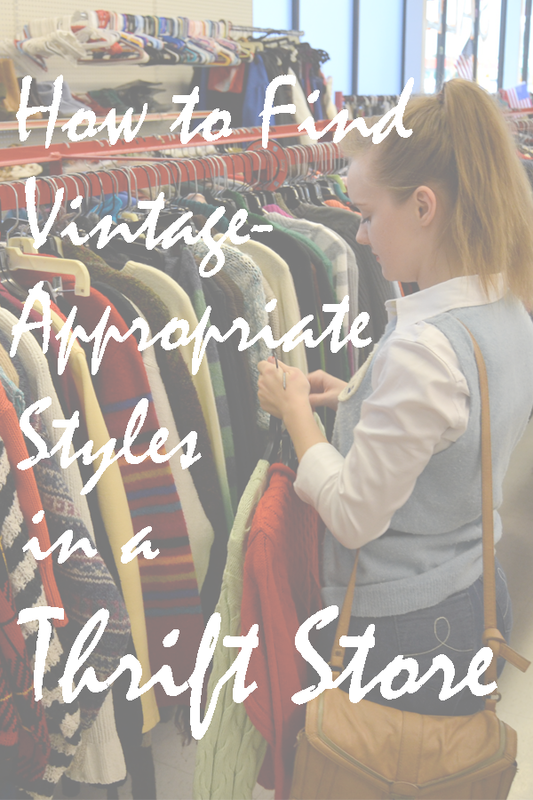 My one tip for when I thrift shop, especially for vintage items, is to try everything on! 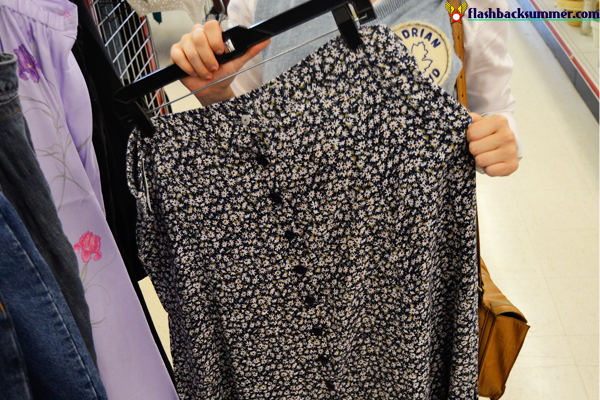 Just because an item looks a certain way on the hanger doesn't mean it will look the same on you! Plus, a majority of thrift stores, especially the ones I shop at have a "no return" policy. It's best to know how an item will look like on you before you leave the store! Some great tips and I like how you illustrated your points with garments that you had found. I haven't had much luck on the clothing front in charity shops recently but I keep looking! I have found a couple of great bags and scarves though. These were some great reminders Emileigh! Thanks! One time while we were at our local Goodwill I scored two slips. One a midi length (I had been needing one of those BADLY) and one a hard-to-find maxi slip. Sweet! A couple of my most worn items are thrift shop finds, so I love this! I'm always really impressed when I see people alter 90s dresses to give them a 40s feel, I would love to try that once my sewing skills are a little more advanced. 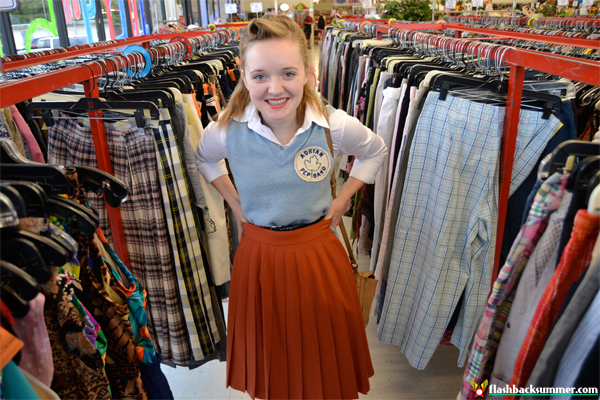 As it is, though, though, I've had great luck finding nice skirts and sweaters at thrift shops, and they're always my first stop when I need a Halloween costume. 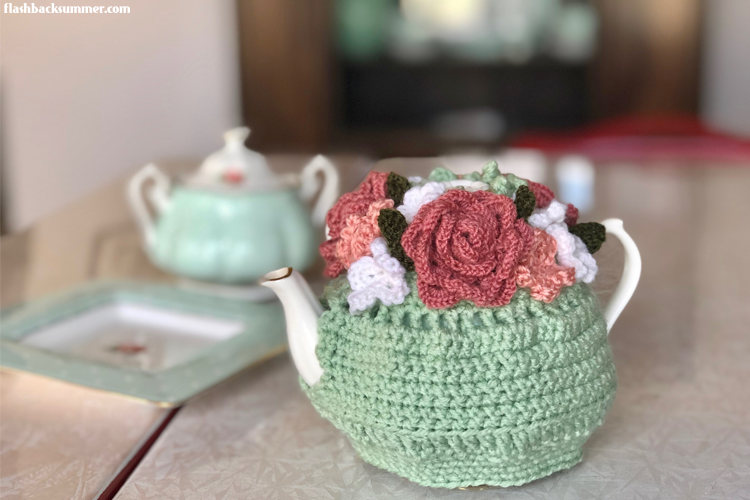 Great post...as a "flower child" and one who loves the 60's & 70's era clothing...I have found some very GROOVY things in thrift stores...usually little, out-of-the-way places that sell a little bit of everything. 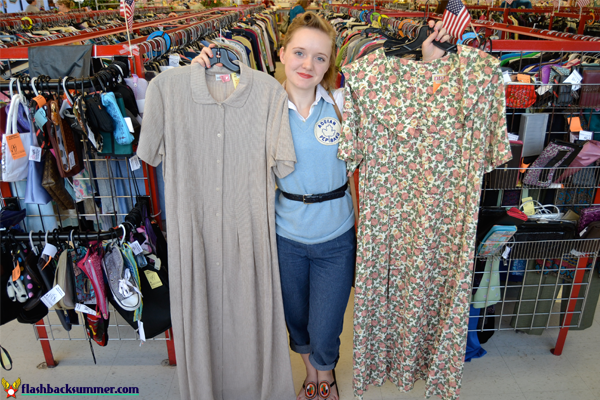 Goodwill and "mostly clothing" stores are too "hip" here to get the "good stuff" (unless, of course, you do as I do and ask what day and time the deliveries of new merchandise hits the racks! WOOT!) so I go to little second hand furniture and junk stores. I have found pieces of fab fabrics and an occasional vintage item too good to be true! PS I've noticed the "shift dress" is making a comeback! I can't tell you how thrilled I am about that!